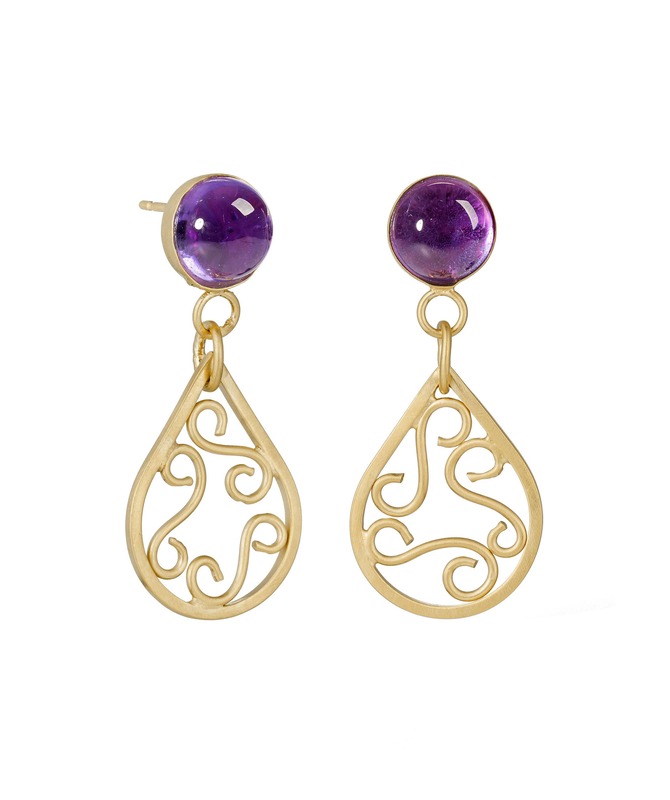 A delicate pair of teardrop-shaped filigree dangles hanging from a round set amethyst. 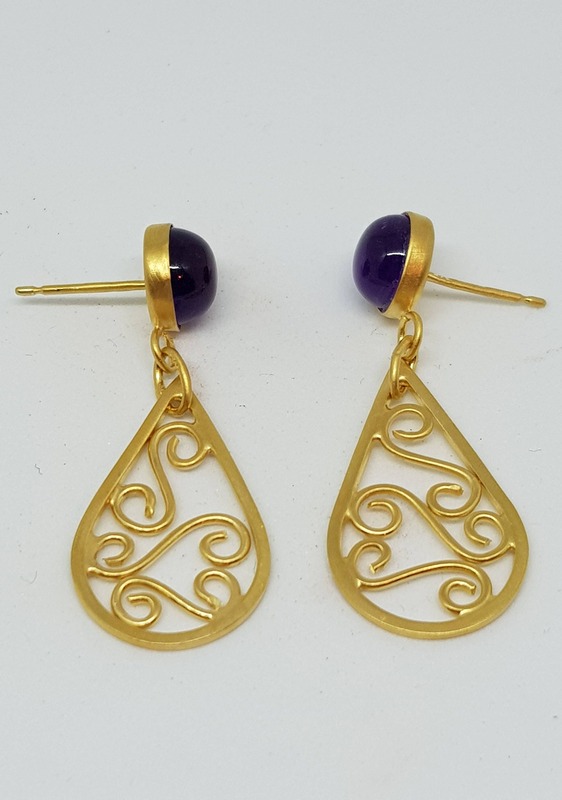 The earrings were inspired by the jewellery of South Asia, combining the iconic teardrop shape with filigree work and a gemstone. 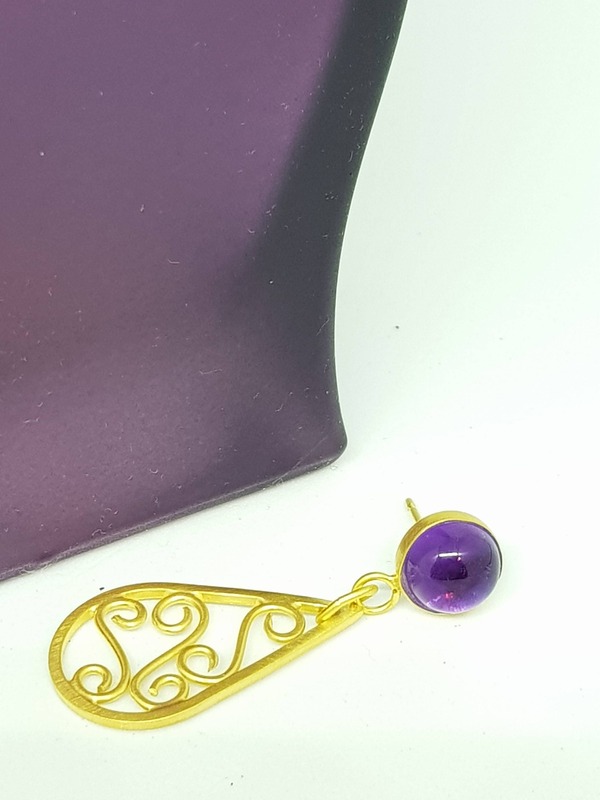 The earrings have a total length of 35 mm and the amethyst measures 8 mm. 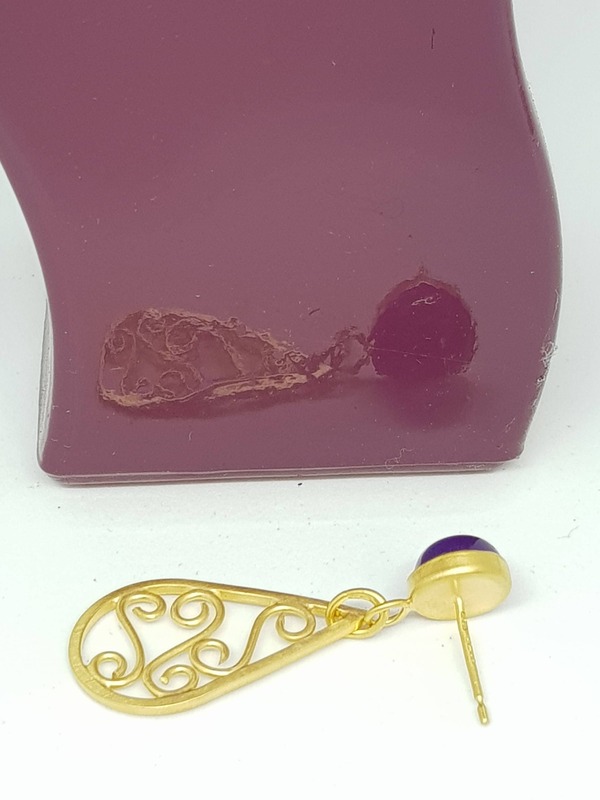 The earrings are secured by an earring post fastened with a scroll. 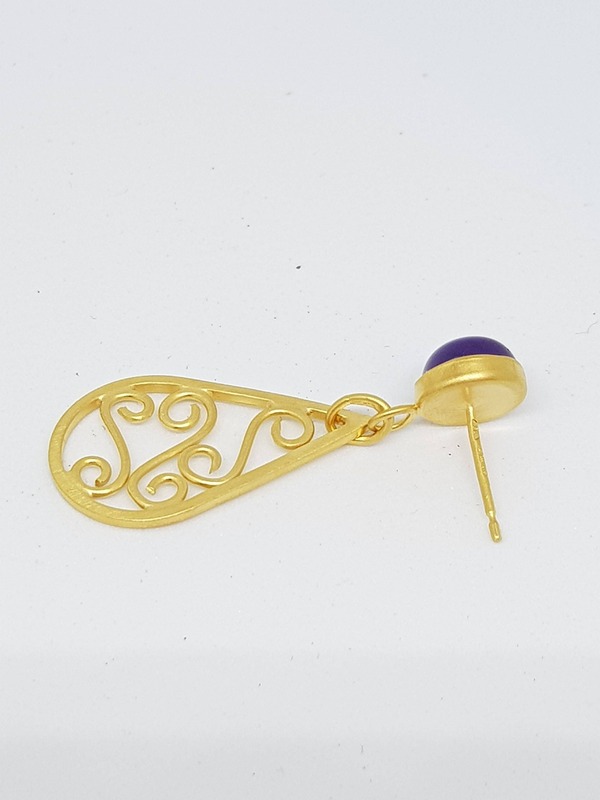 The 24 carat gold plating is professionally applied and brushed to create a contemporary look. 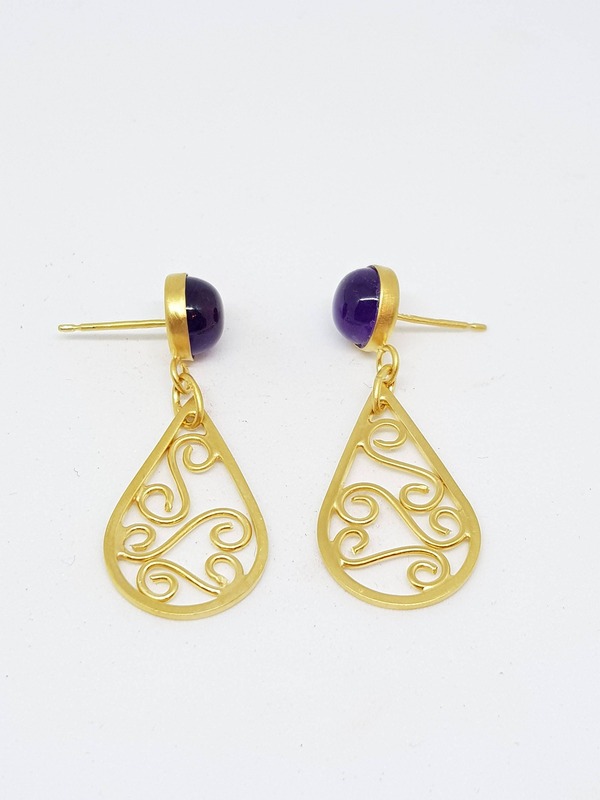 The earrings are supplied hallmarked.